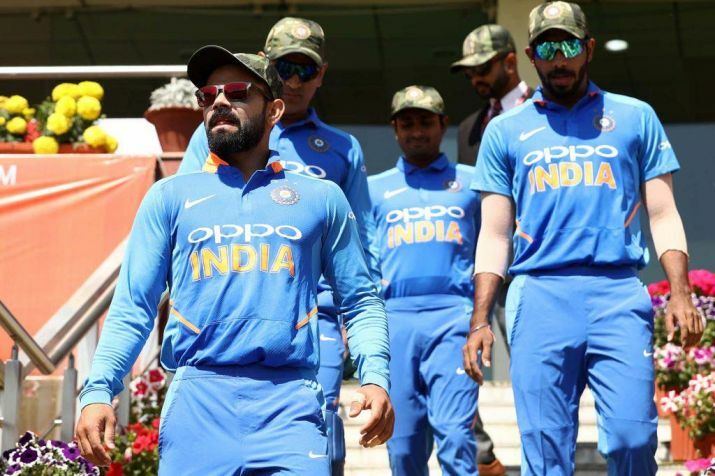 India Times: Pakistan has demanded that the ICC take note of Indian cricketers wearing camouflage military caps during the third ODI against Australia, accusing Virat Kohli team’s of politicising the game. As a mark of respect to the CRPF jawans who lost their lives in the Pulawama terrorist attack, Indian cricketers sported the army cap and also donated their match fee for the welfare of the families of the paramilitary personnel. “And if the Indian team will not be stopped, Pak cricket team should wear black bands to remind The World about Indian atrocities in Kashmir,” Chaudhry wrote. “And if the Indian team will not be stopped, Pak cricket team should wear black bands to remind The World about Indian atrocities in Kashmir,” Chaudhry wrote.